Hashidate Law Office is a full-service law firm including litigation and dispute resolution that specialises in supporting businesses both inside and outside Japan, thanks to their wide network of partners. Special Offer: Hashidate Law Office is offering 20% off hourly rates for a single legal matter. 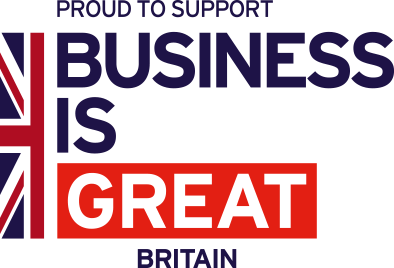 This offer is available to UK companies and firms that are members of Export to Japan. Hashidate Law Office is prepared to offer a 20% discount off of our regular hourly rates if any UK company or firm choose to retain our services. Any UK exporter who may have a question about any aspect of Japanese regulations regarding, for example, customs, duties, trade restrictions and other related topics, would be able to receive quality legal service at a discounted rate. If the UK exporter is already embroiled in a legal dispute or controversy in Japan, such an exporter would be eligible to receive litigation services at a significant discount. Hashidate Law Office (HLO) is a full-service, Tokyo-based law firm specialising in a variety of fields, including corporate transactions, M&A, litigation, trade law, and employment law. HLO is also a leader in Tokyo’s legal community with respect to handling cross-border cases and transactions, whether on behalf of Japanese or foreign clients. Moreover, our attorneys have extensive experience in dealing with UK-based clients and are mindful of the particular needs of UK businesses seeking to establish a footprint in Japan. Indeed, our long-standing relationship formalised in an official alliance with the leading English law firm Addleshaw Goddard has allowed us to serve many UK-based businesses who have issues or questions centred around Japanese law. The discount will apply to only one legal matter per client, for the duration of the matter. Any additional legal services on an unrelated matter will be subject to Hashidate Law Office’s regular rates. Hashidate Law Office also reserves the right to turn down any request for assistance if doing so would put it in conflict with existing clients, if accepting the work would be unethical or in violation of the law, or for any reason and Hashidate Law Office is under no obligation to state the reason for any such rejection.